DreamTrips™ Vacation Club, one of the world’s leading travel and vacation club membership organizations, was voted “Europe’s Leading Travel Club” for 2014 as part of the World Travel Awards. The World Travel Awards Europe Gala Ceremony was held at Divani Appolon Palace & Thalasso in Athens, Greece on Saturday, August 2, with hundreds of hospitality industry leaders. This award recognizes the commitment to excellence that DreamTrips has demonstrated in Europe within the last year. The award, voted on by travel and tourism professionals worldwide, recognized DreamTrips’ outstanding service and product offerings.Nominees in other European region travel categories include W Hotels Worldwide, Ritz-Carlton, KLM – Royal Dutch Airlines and Royal Caribbean International. Since 1993, World Travel Awards (WTA) has acknowledged and celebrated excellence across all sectors of the global tourism industry. 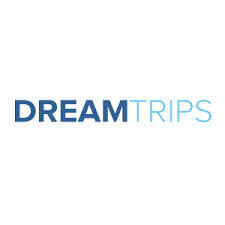 Last year, DreamTrips was also named “World’s Leading Travel Club” at the 2013 WTA Grand Final. The Europe Gala Ceremony is the second stop on the annual Grand Tour which visited Dubai earlier this year, and will include stops in Nigeria, Ecuador, India and Anguilla, before arriving in Morocco for the Grand Final in November.